Teak - with its exceptional resistance to the elements - is the wood of choice for outdoor applications like patio and garden furniture. Summertime and the living moves outdoors. Enter teak, one of the premiere woods for outdoor applications due to its natural resistance to insects, fungi and weather. Teak has long been a popular choice for patio and garden furniture and decking-actually anything used outdoors because of its strength, durability and stability in changing climates. Teak weathers exceptionally well, as it can be oiled to maintain the original color or left alone to eventually fade to an attractive grey tone. This grand old commercial timber also has a rich history for marine uses - primarily for ship and boat building, hatches, hulls, planking, oars, masts and handrails. It is also used for boat interiors, from paneling and trim to furniture and flooring, and exterior uses such as dock and harborwork, bridges and sea walls. Teak is used as lumber, plywood and decorative veneer applications in furniture and architectural woodworking. It is also used as plank and parquet flooring and for joinery, cabinetry and turnery. Wood typically grows from 70 to 100 feet with diameters of 5-12 feet but can grow to 150 feet. Weight ranges from 38-44 pounds per cubic foot with an average weight of 40 pounds per cubic foot. Wood dries well but experts recommend wood be dried slowly and with care. The United States Department of Agriculture, Forest Service Handbook recommends a kiln schedule of T10-D4S for 4/4 stock and T8-D3S for 8/4. Teak has medium bending strength, low stiffness and shock resistance. Moderate steam bending classification. Easily worked with hand and machine tools. Experts recommend using sharp cutting surfaces. Glues moderately well and gluing is affected by oily nature of wood. Wood is scented when first cut. Dust can be highly irritating to skin, causing dermatitis to some. Teak grows naturally in Burma, India, Thailand, Indonesia and Vietnam. Teak has been introduced to a number of places, including tropical Africa, Central America, the Philippines, Borneo and Malaysia. It has been cultivated in plantations in its natural range as well as in tropical climates. As mentioned, untreated teak will turn to a silvery grey color over time, but its color varies according to the origin of the wood. 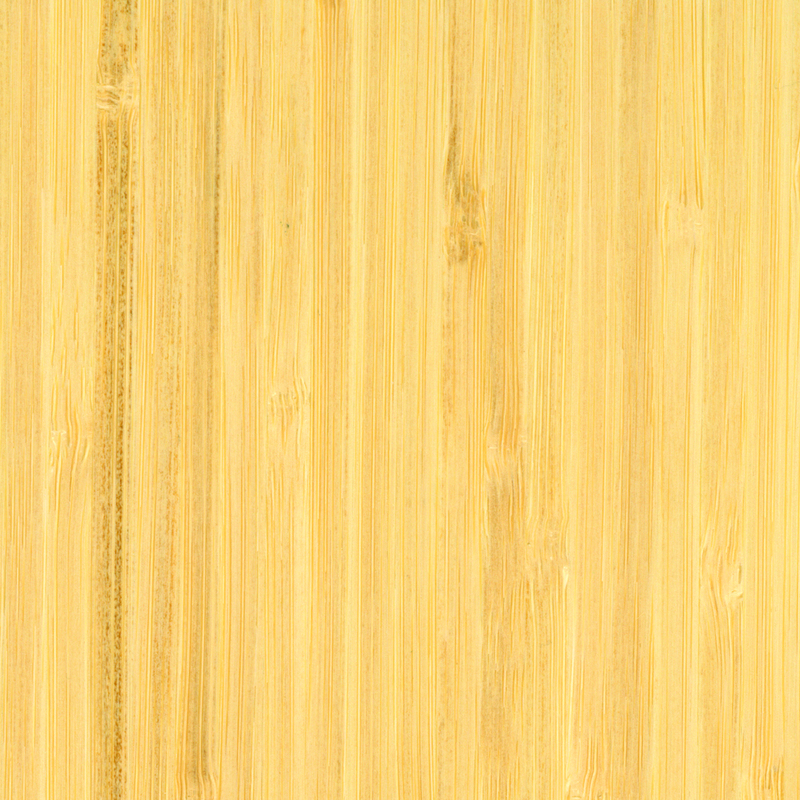 The heartwood is sometimes dark yellow when first cut, but darkens after exposure. Some teak will have dark chocolate brown to black markings. The grain also varies. 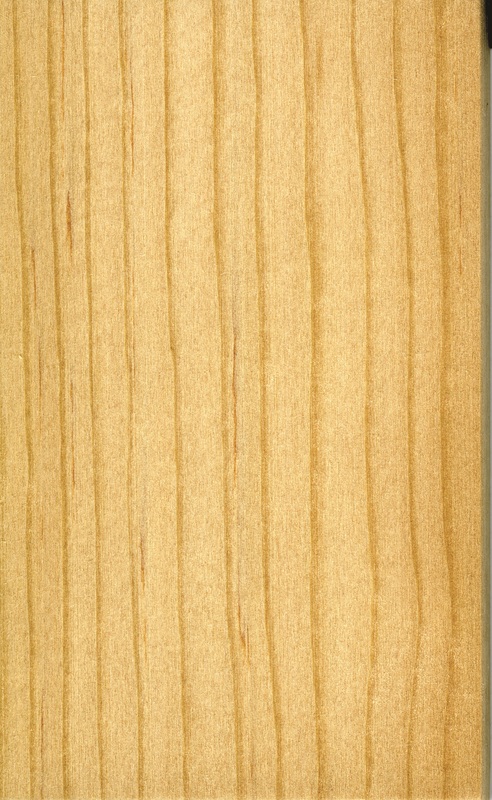 Burma teak is usually straight grained while other teak will have a wavy grain. The sapwood is sharply demarcated and usually a pale yellow color. Teak has a long history of use with architectural woodworking. 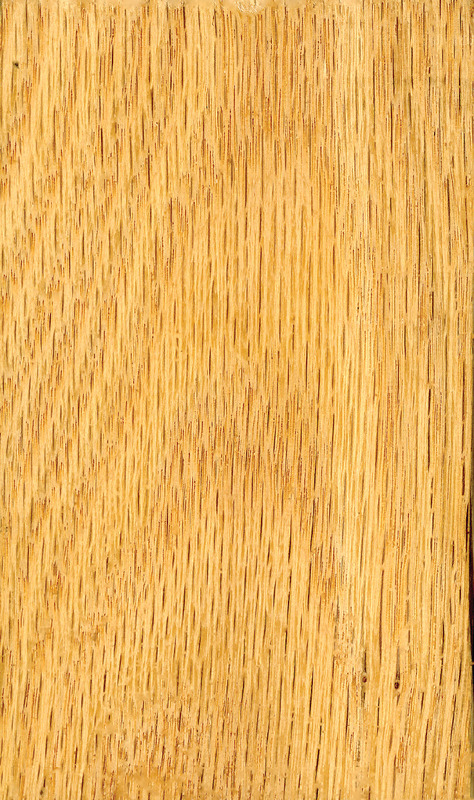 The veneer is usually separated into two looks - often sold as golden teak or streaked teak. Jim Dumas of Certainly Wood, Inc. in East Aurora, NY, said his company sells teak veneer, primarily to the architectural woodworking market. "Historically, our biggest seller for teak was a medium color with dark veining, but for the past five to seven years there was a strong push for golden teak, the veneer without the black veining," said Dumas. We are starting to see a switch back to veneer with contrast. I'm not sure why the trend changed although it could have been due to the market liking a slightly lighter color or the fact that the other (contrast) has been so hard to get. It also could be that we in the veneer business are slaves to fashion and things just go in and out of style." Dumas said he doesn't purchase plantation grown teak. "It was a great idea to grow teak as a cash crop. It was one of the first woods to be treated this way and it has to do with the wood being so popular and in such demand that supplies were getting rare." Dumas instead purchases forest-grown teak logs. "You rarely see plantation teak at our end of the market. Plantation teak has environmental benefits and was a wonderful idea, but it doesn't usually get used in architectural grades or attain the stature of first-growth teak from Asia, for example, where you will see the largest, most mature trees." Architectural teak today, said Dumas, is used in a variety of applications. "Much of it is going into the interiors of yachts." Walter Crouch, secretary of Cocobolo Inc., Pinellas Park, FL, sells plantation teak lumber, primarily to the marine industry. Crouch said some of the plantation teak in Burma was planted by the British some 150 years ago and it is pretty big. "Plantation teak and Burma teak are from the same species. It's the same wood," Crouch says. "Some of the teak from Burma is from forests and some will be from plantations, and it can be hard to tell the difference. "The plantation teak from Latin America will be much different from the so-called naturally growing teak or teak in the wild. The plantation teak from some counties won't be as old. If you look at the growth rings, they will be further apart, so that tells you the tree is a lot younger. Teak grows fast when it is young, and as it ages, it grows slower and you start getting the real tight growth rings. Plantation teak is definitely teak with the same great properties, said Crouch, but origin and age will affect the way it looks.